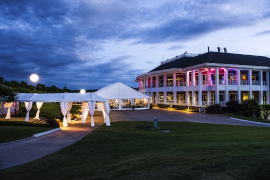 Award-winning service paired with breathtaking natural surroundings make The Clubhouse at Gaylord Springs Golf Links the ideal setting for an array of events for up to 1,000 people. We provide the perfect setting to make your BIG day fairytale perfect. From ceremony to reception, we’ll delight you with just the right touches – artfully arranged to reflect your taste and style. 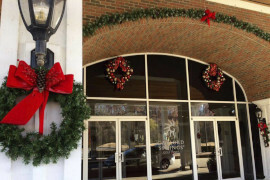 Our clubhouse provides the picture perfect location for your holiday party with its serene surroundings, festive décor, award-winning catering, complimentary parking and flexible function space for up to 500 people. 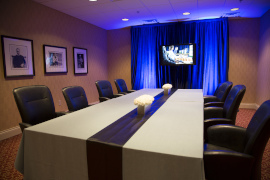 From small meetings to large galas, our Event Planning and Food & Beverage teams ensure any event is an extraordinary and memorable experience for you and your guests.